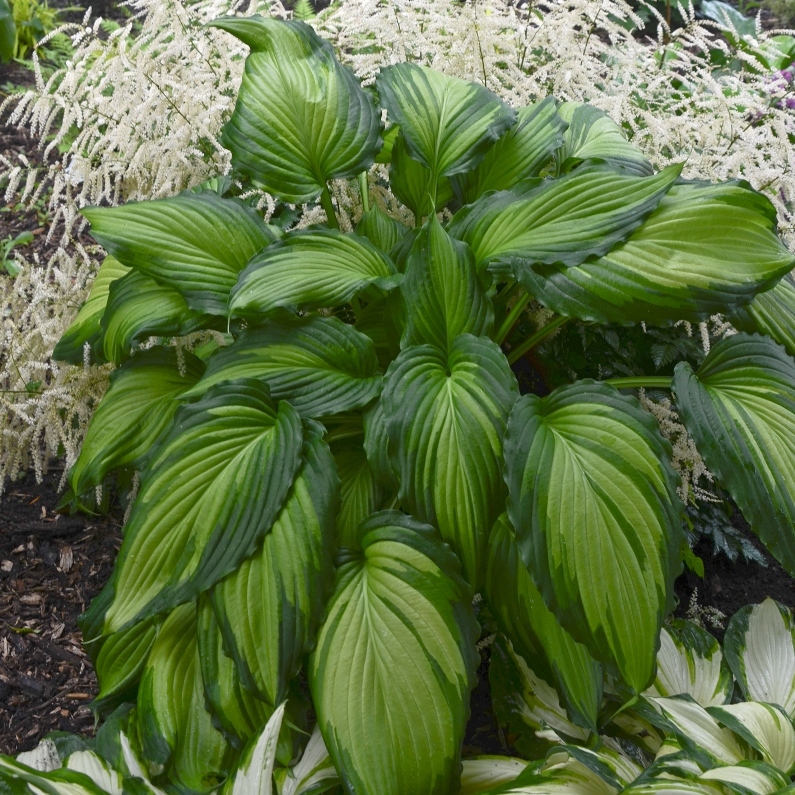 Hosta 'Angel Falls' is a variegated sport of the multiple award winning solid green Hosta ‘Niagara Falls’. ‘Angel Falls’ forms an attractively rounded mound of cascading green leaves with beautiful white centers. The wide green margins measure up to 5 cm wide, with a lighter green area appearing where the margins and centers overlap. The mature leaves arch downward with a rippled margin. Light lavender flowers appear in midsummer.